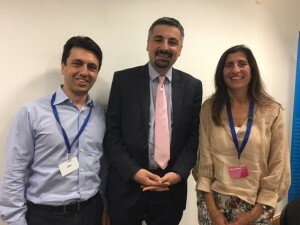 I attended an interesting talk by Ziya Meral on Turkey hosted by the Conservative Christian Fellowship and with colleagues from Conservative Friends of Turkey. Ziya bey gave fascinating insights into the political situation in Turkey with the most recent events of the failed coup and how Turkey has evolved historically. Ziya bey’s analogy of a failed betrothal representing Turkey’s relationship with the EU was amusing. The wedding isn’t going to take place but they don’t want to give up on the engagement. The event closed with prayer and a final message of how we can think more positively about Turkey.